Join paper artist Nicole Donnelly to explore plant-based papermaking and bookbinding, in collaboration with The Soapbox. 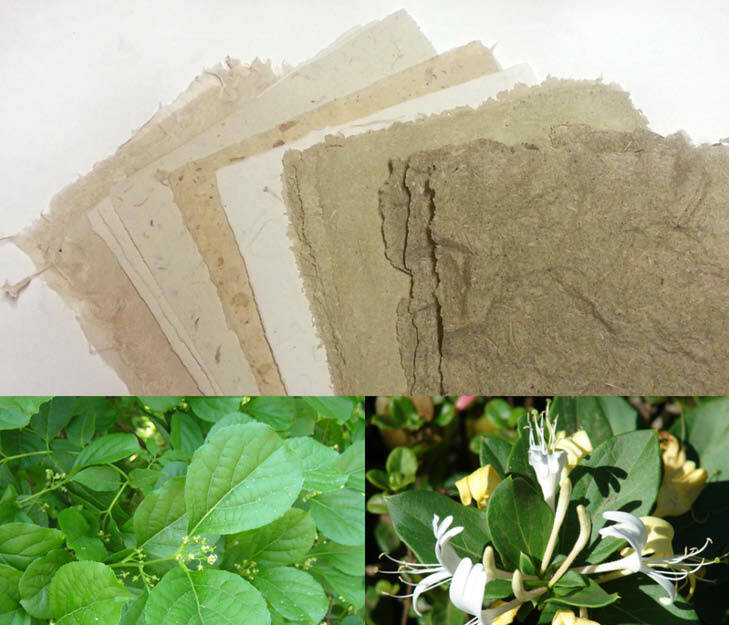 In this two-part workshop, we will learn the process of making paper by hand, starting by harvesting the plants. On Friday, we will take a walking tour of our grounds to identify and collect invasive plants for papermaking. Bringing these back to the classroom, we will learn how the fibers are prepared and have some fun beating them into paper pulp. We’ll provide wine to enjoy while you’re making the pulp. Saturday, spend half the day forming sheets of handmade paper from our collected plants (this is a wet process! ), and in the second half of the class, we will use premade sheets of plant paper to sew into handbound books. All materials and tools provided. Remember to pack a lunch for Saturday. Pre-registration required. The Soapbox is a West Philly nonprofit community print shop, book and zine making center, and library of 2,000 rare handmade publications. Nicole Donnelly is a visual artist and independent teacher in Philadelphia, PA. In 2013, she founded paperTHINKtank, a papermaking studio in Port Richmond, and she is the current President of IAPMA (International Association of Hand Papermakers and Paper Artists). She is a member of the Friends of Dard Hunter, a board member of The Soapbox, and has been published in Hand Papermaking magazine (Winter 2013). She studied papermaking with Timothy Barrett at the University of Iowa, fell in love with the process, and hasn’t looked back. Her artwork is focused on the environmentally sustainable possibilities and beauty of handmade paper.